← Are the leaves falling where you live? Bugs and other garden critters are one of those things you either love or you hate. But there is nothing creepy about our hardware collection of bugs, butterflies, bees and the occasional frog or lizard. 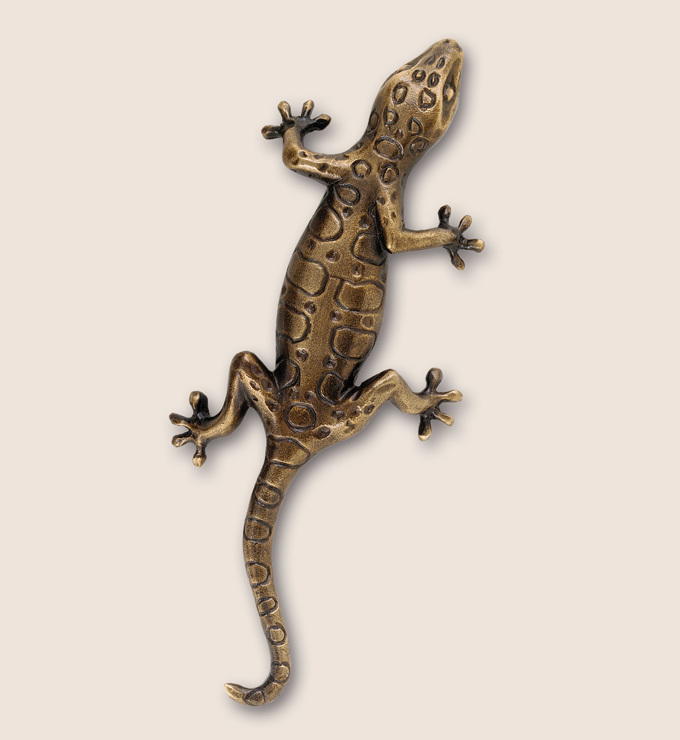 This lizard pull from our Animal collection would delight any budding young scientist in your family or add an unexpected greeting to the entryway of your nursery or pet shop business. 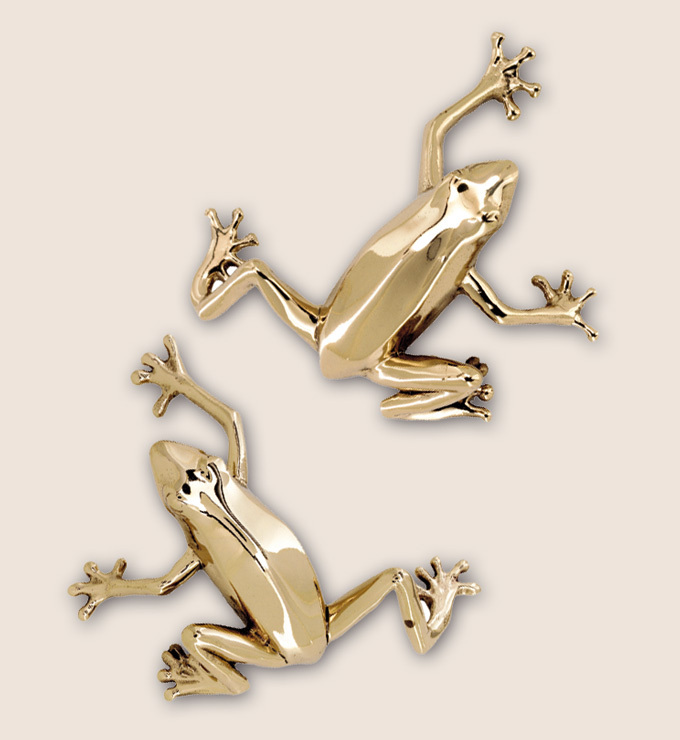 Our bright and shiny frog pull is always a popular giveaway in our HD Expo booth every year. Ancient Egyptians used the scarab beetle as amulets that represented many different Gods, earth cycles etc. 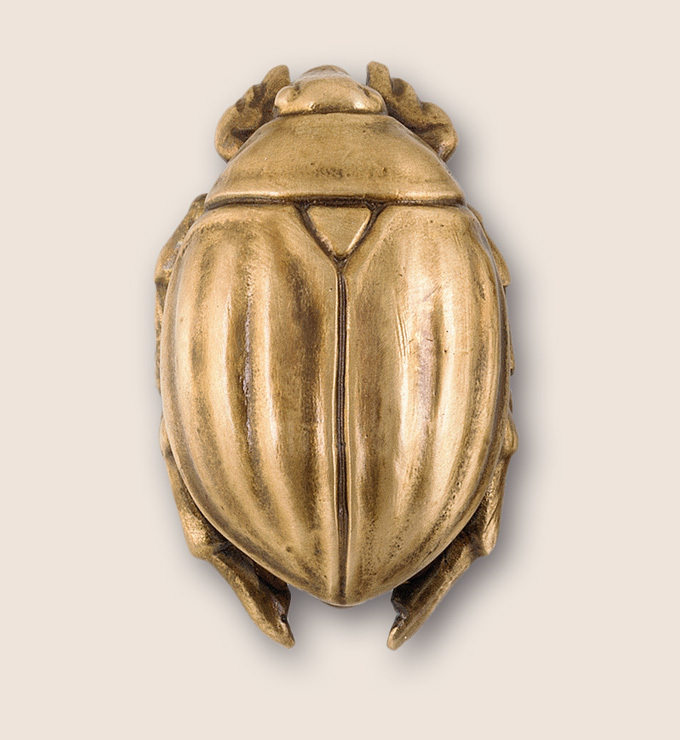 We have designed both a large and small scarab beetle pull that can be incorporated into the interior of your home or business. If you have visited Hawaii or other tropical areas you are very familiar with the friendly geckos that can be found everywhere. 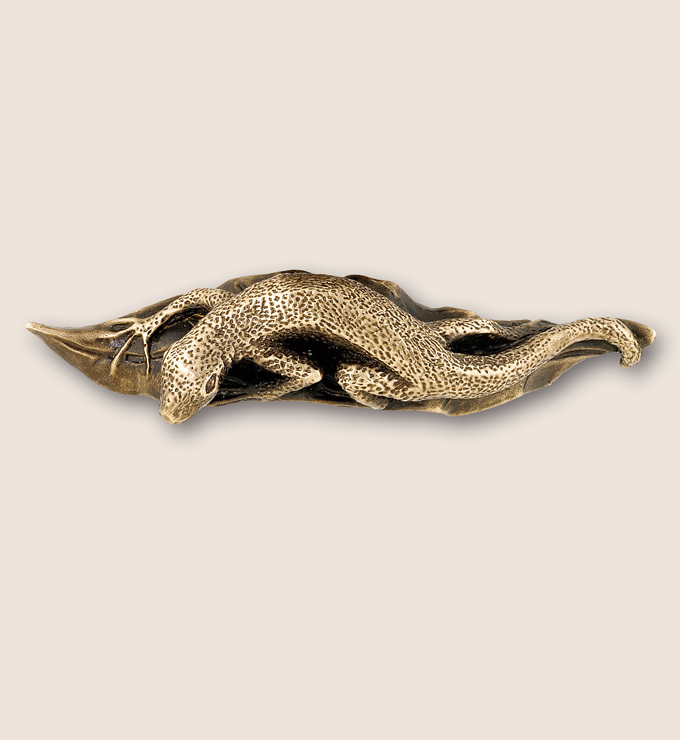 Relive those pleasant vacation memories with our Gecko pull. 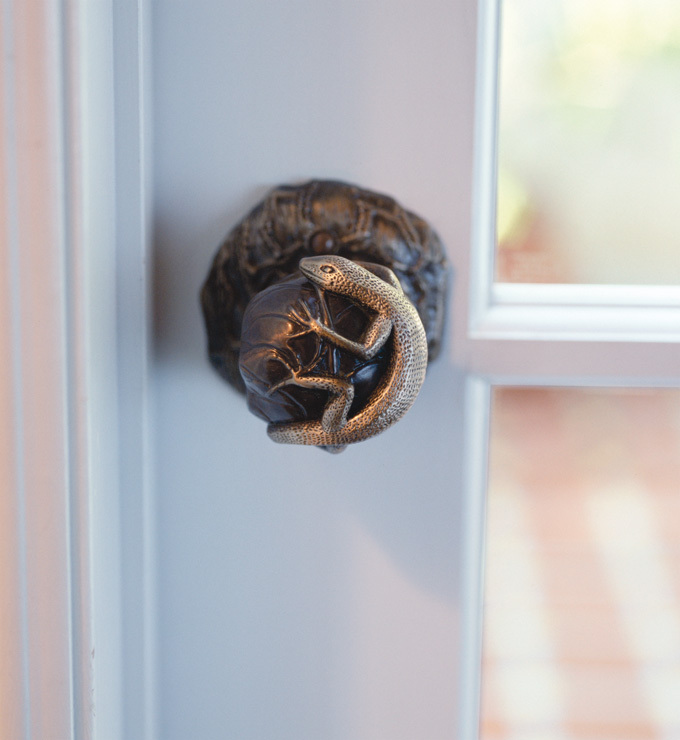 This entry was posted in Uncategorized and tagged custom hardware, custom lizard pull hardware, door knobs, frog hardware, frog pull, gecko, gecko hardware, lizards, martin pierce hardware, passageway knobs, scarab beetle, scarab beetle hardware. Bookmark the permalink.